We offer clear aligner therapy, traditional & clear braces for adults & kids so you can straighten your teeth in style! Visit our site to learn more! 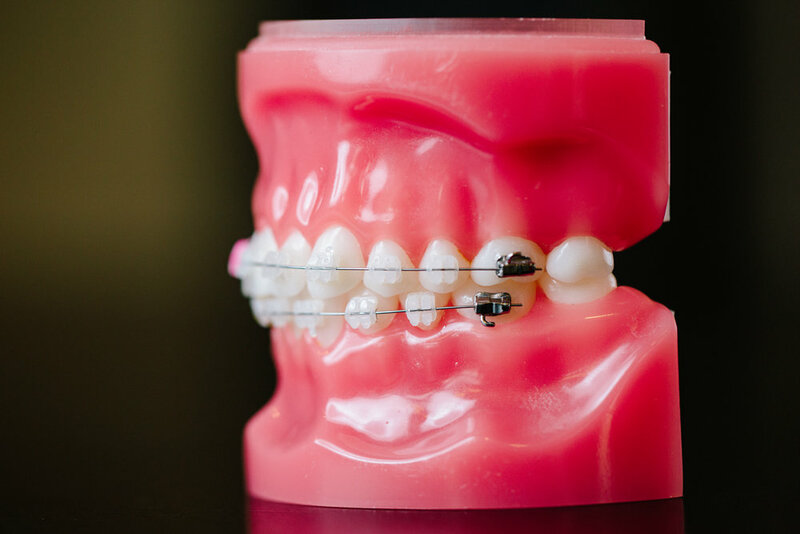 Traditional braces are still a great, affordable option for treating a variety of orthodontic issues: gaps, crowding, overbites, or underbites. The brackets we use nowadays are a good bit smaller than the tooth shackles of yesteryear and use a simple door-system to hold the wires in place, which shortens appointment time and makes treatment more effective and way less painful than it used to be. Really, a touch of silver in your grin may be just what you’re looking for. Our patients with a bigger bone to pick with their smile because of large gaps, severe crowding or misalignment, or major bite issues see the biggest improvements in the look of their teeth with metal braces. With traditional braces for adults and children, the roots of teeth and the crowns (the part you see above the gums) move sequentially for a gradual yet more permanent change to your smile. The new materials and techniques used in orthodontics make braces more comfortable than ever before, too, so you won't be stuck eating soup for days or weeks while you adjust to the new braces. If metal braces aren’t your style, we provide 3M Clarity ADVANCED Ceramic Brackets. They’re a bit subtler. The translucent ceramic brackets blend with the color of your teeth and remain stain-free throughout treatment. For a little extra style, add some color around the clear brackets to spruce up your smile. Clear braces work just like metal braces. They just do it with a lower profile. You can keep your style and improve your smile at the same time! The only way to really know is to come in and let us take a look in your mouth. We'll analyze your needs, listen to your concerns, and help you make a decision on clear braces versus metal.